Tesla Inc. (NASDAQ: TSLA) and Maxwell Technologies, Inc. (NASDAQ: MXWL) announced a definitive agreement on Monday for the power solutions company to be acquired by Tesla. Under the agreement, Maxwell will become a wholly owned subsidiary of Tesla. 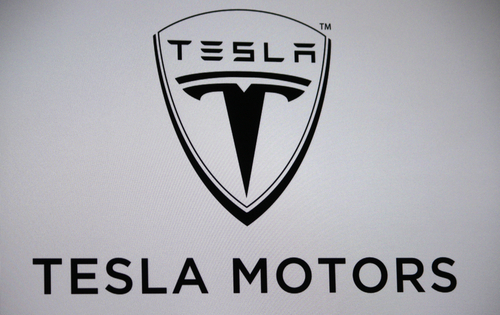 Tesla agreed to buy 45.9 million shares at USD 4.75 per share in an all-stock transaction. The deal represents a 55% premium over Friday’s closing price, valuing around USD 218 Million. Maxwell shares surged by 49.51% shortly after the opening bell on Monday. Maxwell develops and manufactures energy storage and power delivery solutions for automotive, heavy transportation, renewable energy, backup power, wireless communications, and industrial and consumer electronic applications. Tesla reported its fourth-quarter financial results last week. For the fourth quarter, the Company reported reported earnings of USD 1.93 per share on revenue of USD 7.23 Billion. The electric automaker topped revenue estimates, but missed earnings estimates for the quarter. Tesla said the quarter was driven by the success of its Model 3 sequentially, which drove in operating income of USD 414 Million. The Company also mentioned that the month of December was the highest volume it witnessed for its Model 3 production rates. The Company said it was able to achieve a production rate of 7,000 vehicles per week with complications out of the way at its Fremont factory. For 2019, Tesla said it expected Model 3 volume to grow year-over-year due to higher production rates at its Fremont facility as well as its Gigafactory in Shanghai. The Company said it is aiming to produce 3,000 vehicles per week at the Shanghai factory. Barring challenges associated with the Shanghai facility, Tesla is targeting annual Model 3 output in excess of 500,000 units sometime between Q4 of 2019 and Q2 2020. However, due to Tesla’s global expansion, the Company expects lower deliveries in North America for Q1. Despite the lowered expectations for the North American segment, Tesla is forecasting a 45% to 65% increase in vehicle deliveries for the year. The acquisition of Maxwell could help fuel Tesla’s production and delivery rates for the second half of the fiscal year. Maxwell’s ultra-capacitors and battery components could deliver fast charging cells which could help Tesla’s production line and create longer lasting battery lives for the models. The acquisition is expected to be completed in the second-quarter of 2019. So all things being equal, this “deal” should reduce annual EPS at $TSLA by 30-40 cents. Not inconsequential at 60x 2019 EPS. “Nobody wants $TSLA’s unless heavily subsidized, always catch fire/ run into other cars, cause more CO2 and 160x(!) more pollution cf. diesels. 4x fatalities. And Elon is a fraud. And he is very objective. Off course.